There was an economist who once said that part of the what made Costco and other membership stores interesting is how they don’t really focus on customer experience. They focus solely on price. And, no doubt, due to their combination of purchasing power and global logistics, they can afford to offer roasted chickens, buckets of coconut oil or giant, flat packages of croissants for a couple dollars each. Unfortunately, that also means that sometimes you feel that you are in the food-equivalent of the DMV, with the long, snaking lines at the checkout aisle. the cinderblock walls, the polished concrete floors covered in plastic-wrapped pallets. Soviet-Era city planners must be smiling that their ideas of industrial development for the masses have been perfected by a bunch of capitalists. Worst, of course, is the food court. Yes, its amazing to be able to buy a hot dog for a buck- fifty, but man, just try getting a pizza on a Friday evening when you’re movie screening starts in an hour. 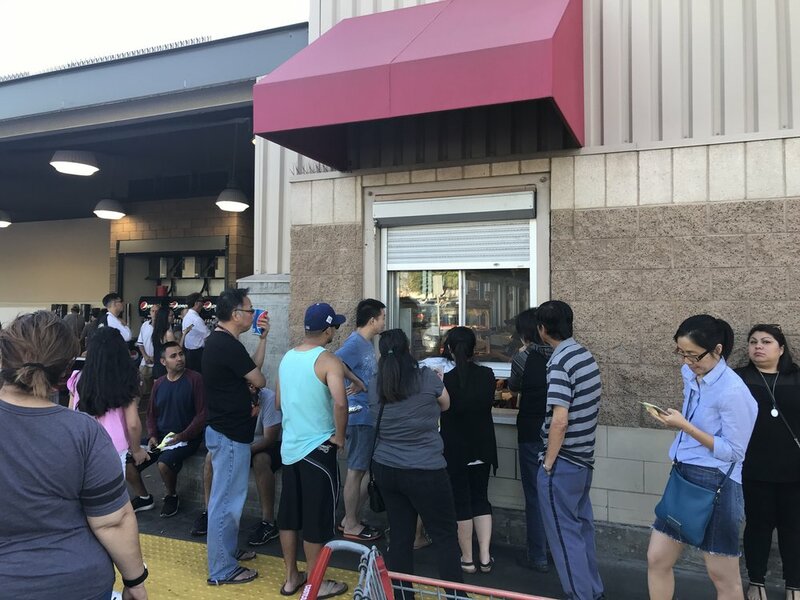 Once you pay for your pizza (cheese, pepperoni, or combo - NO SUBSTITUTIONS) you need to wait in front of a nondescript window on the edge of a vast parking lot. You don’t know how long you’ll wait. You just need to listen for your name. I’m waiting for a combo pizza. I think maybe I can tell them that I’m getting the pizza for Lisa. I’ll say, she’s waiting in the car and yes, I’ll take the paper plates and the extra packets of parmesan cheese, thank you. Then, Lisa appears and takes her pizza, ruining a perfectly good plan. Sorry, Fred. Your pizza isn’t ready. But, don’t worry. It’s coming. Soon. Just stay behind the yellow line though. And, yes, Jillian, we all know that you arrived “an hour ago” and “the service is slooooowww” and your pepperoni pizza “should have been here by now”. Hush. The pizzas are all cooking. You can see them deep in the prep area, next to the giant industrial ovens. Feel the warm air and smell of scent of rising pizza dough.